Lots of folks have been clamoring for a release date for the T-Mobile LG V20 lately, and now we’ve finally got a date for those people to circle on their calendar. One thing that T-Mobile did reveal today is that everyone who buys an LG V20 will get a pair of Bang & Olufsen BeoPlay H3 headphones, worth $149. T-Mo says that this offer will only be around for a limited time, so if you want some free headphones, you may want to grab your V20 at launch or shortly thereafter. Another important detail about the LG V20 is that it’s the first phone on T-Mobile to support AWS-3 (aka band 66) spectrum. T-Mobile will be using this spectrum to build out its 4G LTE network, and the V20 will be the first phone on T-Mo that’ll run on those airwaves. As a refresher, the LG V20 runs Android 7.0 Nougat on a 5.7-inch 2560×1440 display. It’s also got a secondary 160×1040 display above that main display. Another major feature of the V20 is its dual camera setup, with a 16-megapixel standard lens and an 8-megapixel wide-angle lens. There’s also a 5-megapixel camera on the V20’s front. The rest of the LG V20’s spec list is about as high-end as your’d expect from an Android flagship in late 2016. There’s a Snapdragon 820 processor, 4GB of RAM, 64GB of built-in storage, and a microSD slot for adding even more storage. There’s also a Quad DAC for reducing distortion and ambient noise for higher-quality audio and a 3,200mAh removable battery. Are you thinking about buying the LG V20 when it launches later this month? love the v20. not excited about the headphones at all, though. all the reviews say they are not durable, but sound great. yesterday i read LG is going to release nougat for the G3. nougat is the main reason i was thinking of changing. i may stay with what i have – assuming tmo releases nougat to the g3. I want a smaller, compact, lighter, more portable, phone to slip in my pocket. Might be able to find a Moto RAZR somewhere. you can get the pixel unlocked to run on tmo is you want. Yes, but that gets expensive, as I’m on Jump and still have a hefty seven month balance on the Nexus to pay off. My plan is to keep waiting for a >5.5″ phone to show up on T-Mo, and if nothing really good shows up in the next half year (that won’t, like, explode, for instance! ), then I’ll go for the Pixel. So this LG is compelling. Might want to double check on the Jump. Isn’t that going away? It’s grandfathered to your line if you already have it. I’ve got Jump on Demand and while I wanted the Note 7, I think I might use it on the v20 if the price is decent. Google Play Store is now offering financing. You can buy the Pixel from the Google Store. It will work just fine on TMobile’s Extended Range LTE, VoLTE, and Wifi Calling. Does it support Band 66? My LG V10 really had nothing extra installed, and what was installed, you could uninstall, not just disable. That was a year ago, so they might have changed on newer phones. I have a Nexus 6 as well and was extremely bummed that the Pixel XL is only 5.5 in size. I can live with 5.7 if I have to but no way I am going down to 5.5. My Wife has the LG G4 and it is not too bad really. The V20 might just get my money. My wife’s G4 is chugging along quite well. She’s not a power user like me but still no boot loop just yet. I’m hoping the boot loop bug skips her cause I had to replace my G4 with an S6 tmobile sent since no more warranty G4s avilable. It will NOT have Google assistant and other exclusive pixel features. Google has already started that. You want Google assistant…. Download “allo”. Wonder if it has 4×4 mimo capability? I think someone already looked at that and decided that while the chip supports it, it doesn’t have the antenna needed. Band 66 is basically an extended range signal, with no performance benefits. MIMO is a performance increase and makes your bandwidth rates double the speed, so it would be a desirable feature on a phone, but not necessary for a good signal. I thought with Band 66 you could see faster speeds or is that jsut because of the range signal and you happen to get a signal where you mighht not have. The LG V20 apparently supports T-Mobile AWS-3 (I think that is right) what benefit will this bring to me? AWS-3 is the Band 66. If you live in an area with a poor signal, band 66 AWS-3 will help speed things up. So you would most likely max out at 40mbps with 66, but MIMO could give you 80mbps. No. My understanding is that one (Band 66) is frequencies and the other (4×4 MIMO) is a method of delivery. I’m trying to figure out where I saw it but someone found mention of the antenna arrangement for this phone and it supposedly doesn’t have the required 4 needed for 4×4 or something along those lines. I’ve pretty much decided this is the phone I’m getting. Was hoping that it would be up on pre-order now but it still says coming soon. :( Pricing better be cheap for as long as they have made us wait. Do it. I swore off LG after the G-Slate…ended up getting the G4 and V10, loved them. And my mom loved her G2. Hey there Buddy. Thanks for responding to me on my other comment. I wrote you back on there and is now responding back to you on this one also. Hey I wouldn’t waste my time, getting this cheesy phone. I’d rather wait until the new advanced HTC, ZTE, Alcatel or iPhone that comes out, is when I will make to switch to either product there. So sick and tired of LG/Samsung forever being like Apple. Ít also explains why one of the new re-released Samsung Galaxy Note 7 recall was already on it’s bad behavior in one of Southwest Airlines aircrafts a couple of days ago, Bro. You can always wait for the new and advanced HTC/Google or iPhone 8 to come out. Just saying. I doubt they’d throw in 250 dollar ear buds. Maybe not, but it has been done. Samsung offered up their Micro SD EVO+ 256GB Memory Cards as a rebate offer with their Note 7’s, and they have a retail value of $250. That’s a valid argument but I don’t think LG has deep pockets as Samsung (pre Note 7 recall). Buy it people! I loved my LG V10. I found the second screen to be useful, like the always on screen on galaxy 7. Only changed to Galaxy 7 because it was faster and a couple of the software features. LG is more minimalist, without a hundred of their own apps installed. You don’t need a case. Dropping it on the cement only leaves a little scratch on the case. It feels like a machine in your hand with the steel sides. Should be a more popular series of phones. The V20 is appealing to me. I too am a Nexus 6 owner and looking to upgrade. Considering the V20, Nexus 6P or maybe the Note 7 once the excitement cools down a bit. I really like the Front Facing Speakers and the size of the Nexus 6 so I may just end up going with the Nexus 6p which should be getting some nice discounts soon. I just wish there was another 5.9 incher around with Front Facing Speakers and up to date camera and specs. I know I am in the minority regarding the larger size screen. I live about 30 min east of Kansas City and have decent coverage. With the V20 being one of the first with band 66, it might be handy when I travel around my area. I think it will probably come down to the V20 or 6P but who knows right now. Yeah, if the Axon 7 had been 5.7, I would definitely consider it. Good Pricing for sure. From what I’ve seen in a review of the phone the speaker is on the bottom of the phone,is this confirmed front facing speakers ? I don’t believe so. I wish it did though. I am still holding on to the original Note 7 to wait for this phone. I’ll use my JOD to jump to this after using Samsung for my last 3 phones. I’ll pay no more than $650 for this phone. Don’t need the $150 headphones, so don’t price it at $800. Check just about every site for their article on AT&T pre-orders for the V20. There’s a 95% chance that $830 is the price all carriers will be around. $27.67 for 30 and $34.59 for 24 are pretty much the same exact price…. $830. And the 695 is bill credit for being locked into one of their other services for a contracted period of time. Basically, AT&T trying to do same old same old cell carrier tricks but using their other services. I’ll wait for tmobile’s simple pricing. You mean simple pricing of $830? If we’re lucky, they might try $800. then i won’t be buying one. LG is the king of price drops 3 months later. I suggested to my son that he waits for the inevitable price drop! I got the V10 at 299. Then it went up to 399 and now it’s at 499 I believe. LG phones loose a lot of value. 299, new, without a contract, when it was $599 new? that would be a deal. when? Can it be recycled one? Yes they are, I found a deal on the unlocked LG G5 for $380 on Newegg a few days ago, a friend bought it to send to his nephew in Mexico, $380 is a steal for that phone I think. I’ve considered it, except that the camera isn’t that great for low light and a few other areas. I may end up with a G5 or V10. Does it come with free boot loop? I have never encountered it either. Some people just like making mountains out of molehills. I encountered it. Was going to a 3v3 soccer tournament where I was the coach and all the kids age verifications was on my phone. Charged it on my way there. As I got out of my car, saw a parent called and when I grabbed the phone, it was in the process of rebooting. Only it stayed at the LG splash screen and would shut off. Nothing I did, from removing the battery, to charging it for a bit, would work. Thankfully the tournament organizers let us play without the documentation. Couldn’t call anyone, nor receive any calls from parents asking where the field we were on was. So sorry, that day, it wasn’t a molehill. Added up sending it to LG for repairs. You’re not the type of person I was referring to. Not sure if it was the bootloop issue or not, but I had an LG G4 fail to boot on the last day of the warranty period. No amount of resetting would get it to start up past the initial splash screen. Fortunately, AT&T (blech, work phone) replaced it with a G5 because the G4s were out of stock. My sister is on her 3rd G4…. that’s how much it is in asia, but they get the b&o branding and tuning software. the US version does not. and lg wonders why their cellphones sales are slumping. this is why. Does this have an all metal build? This sounds better than Google Pixel for now expect for the Google Assistant part. glass front (obviously), poly-carbonate end caps to absorb shock. the rest is recycled aircraft aluminum. SD and removable battery old tech? lol. get out. in all fairness, you rarely have anything to say. it’s just fun getting a rise out of you. Is that the new word the kids use nowadays ? no. just an observation of the timeline of your comments…. 2 sd slots + 2 sim slots + 2 simultaneous batteries. Thanks for taking the time to read it really appreciate it ! Those recommended cloud storage to replace memory card. Give me a break. Except when I’m working in certain buildings or flying where I get zero signal for streaming. Local storage still rules. Yes, but not everyone is in the same situation as you. That said, even in situations like yours cloud storage can still be a solution for media that you don’t use often. It can work if I don’t need access to it but those who go on and on about cloud being the answer are completely clueless. The cloud is worthless without a connection. I’ve worked in places where everything was cloud based. Any day where the connection went down was completely useless… and it happens. Local is still king. Do new antennas have to added to towers for band 66? AT&T priced this at $830. T-Mobile will probably do the same. I think LG spoiled us with the V10’s price tag. Yikes, seems a bit high to me. LG pricing folks are on drugs. you can get an iphone (or an axon7 AND a oneplus 3) for that price. LG’s name just doesn’t have the cachet to pull off that kind of price. Hint: No.. they dont. ZTE is synonymous with 30$ throw away phones in the US. there’s several million 900$ phones getting thrown away – note 7s. Dang it! Why didn’t LG give this phone stereo speakers?? I know right! Would have been so nice. because most people use headphones or a real stereo with real speakers. Well, most people watch HD movies on their home flat screens, too. But that didn’t stop manufacturers from putting 2K screens on their phones. Like who the heck needs 540 ppi on a tiny little screen anyway? Catch my drift? HTC, Motorola, Huawei, ZTE, and even Apple, have stereo speakers on their phones. So it’s not rocket science. photos (especially), webpages, short vids, even complex documents all benefit from better resolution. you’ll never get really good sound from tiny speakers, though. For what you’ve described, a 1080p AMOLED screen is more than sufficient. And I don’t disagree with you regarding getting great sound from tiny speakers. It’s physically and scientifically impossible to get high quality sound. BUT… 2 front facing speakers still sound ONE HELL OF A LOT BETTER than a single down facing speaker. This is especially true when you are watching YouTube or movies because the sound is coming straight at you. Who needs 2k screens? People into VR. Is it actually a second display this time? Or same as the V10 where, if you put a custom ROM on it, you notice that it just takes up the whole screen, including the secondary. to answer your question, it is the same physical screen. Well that’s the developers fault, since these ROMs are not part of what LG is selling. They are suppose to do their own bug testing and sees what works and what doesn’t. Custom ROMs on the Note series never had the stylus work on the display versus stock. That’s disappointing. I loved my Notes, and generally, TouchWiz was bearable enough. AT&T pre-orders start tomorrow (Friday). TMo, what about you? My V10 is great and I’m ready for a V20! Stopped by a shop and they said around the 14th for Tmo pre-orders to start. I’m going to hold-off until they have deal on the G5 or V10 for Black Friday. i’m keeping my g3 – and my money. I am still using more than a year old G4. Unlike computer prices, smartphone prices are going waaaay out of hand. I’ve got the G4, so the volume button was a little difficult to get used to. Now it’s nice to be able to increase/decrease the volume with the phone in my pant pockets. I see… the bottom portion of the battery slides out, but the rest is solid which requires the tool to eject. That can get annoying compared to just popping off the back cover and removing the MicroSD card. I’m definitely upgrading my V10 now that they confirmed the free B&O headphones. almost every review i read about those headphones say the cord breaks off from the end-jack after a few weeks use. no thanks. Good to resell and get some money back then. if anybody wants them. i saw an unboxing vid. they don’t come in the retail packaging. Low blow from LG. Samsung at least gave away free stuff in retail packaging. I am returning my V10 to get the Note 7. After considering the LG phone, I cannot get used to the back buttons. I am going back to Samsung even if they are still having issues. 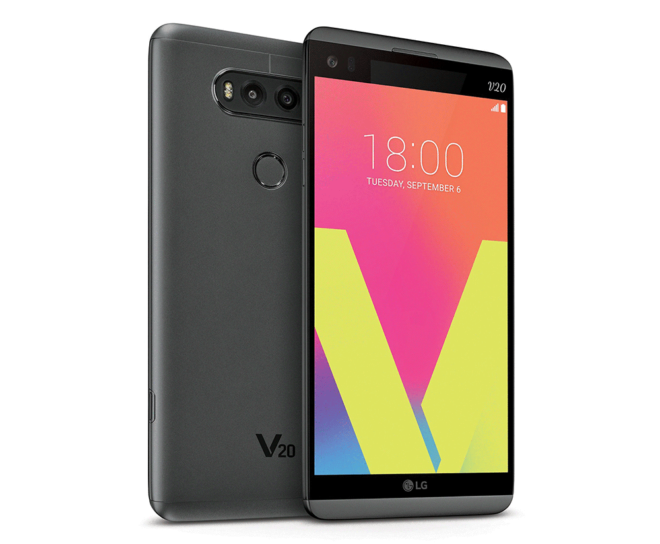 v20 doesn’t have back buttons…. If you must go with Samsung, get any phone EXCEPT the note 7. Even the replacement note 7s are still “exploding”, and at&t is discontinuing them entirely. I’m waiting on the pricing to see if I’ll stick to my G5 or get this. However, T-Mobile needs to stop their deceptive pricing for Jump On Demand customers because when you really look into it, you are paying more for the phones than they are worth. The monthly payments are higher than that in an EIP where you pay in 24 equal monthly installments (and I’m talking about the monthly JOD cost before taxes). For example, the Note 7 costs 37.50/month on JOD (before taxes) for 18 months, and then one lump sum of $734.94 for the buy option. If you put the phone on EIP, the price would be about $35/month plus taxes due when you pick up the phone. So there is a difference of $2.50/month. That means that every six months, you are paying an extra $15. It might not seem like much, but that adds up, especially for T-Mobile. Someone on JOD will probably change their phones every year at least, over which they would have paid $30 extra. They are bulking up the JOD monthly payment with a lower purchase option because you are paying more per month. They should make it like EIPs where the monthly payment is Price/24, with a purchase option of 25% of the phone, so that it will be fair. Er, depends on the phone and your credit rating. Tmo isn’t being deceptive. You’re just confused is all. If you’re not switching phones a minimum of 2-3 times per year….you should not be on JOD. Period. No idea why your going on about full price and 18-24 month payment plans. It’s made for people who want to upgrade multiple times per year. Full price of the phone or the slight increase in monthly costs has nothing to do with anything. I think your a bit confused on what JOD is and who should be using it. No one should have any JOD phone, for longer than 3-4 months. JOD is amazing for people who love tech…and who love Xmas 3x’s per year ;) Plus…you’re eligible for all the amazing promos. That alone makes JOD even cheaper than an EIP, if you factor that in. I should have done that. I have my same G4 as when I started, namely because it went on sale and I got it for $16 a month. Too cheap to spend more. I DID do the father’s day deal on the LG x Pad 8.0s… those are already paid off and waiting to be wrapped for christmas! Waiting for new holiday deals to switch around. For us old timers at TMO, we can’t get on JOD unless we pay off the whole phone first, which I am never going to do, because that takes two years. This might replace my Nexus 6 since Google took a few steps backwards in designing the Pixel XL and made the horrible choice of making it a Verizon exclusive. I’d really hate to leave the Nexus/Pixel brand but they’re forcing me to. I’m with you. I’ve enjoyed the Nexus line from 5 to 6.. Was thinking of scooping up a 6P, but I can’t support buying another Nexus phone. The L20 looks good. So does the upcoming Lenovo Phone, but I might get the v20.. I can’t justify a Pixel, looks to iphoney for me. I would have gotten the 6P if they offered it through T-Mobile. I love my Nexus 6 but it’s two years old and the battery and USB port are starting to wear out, plus it doesn’t support T-Mobile’s recent upgrades. The L20 looks like a pretty good replacement, I might even get occasional use from the band 66 support. Still going to keep my eye out for other phones (definitely not Samsung though). Definitely agree with the “iPhoney”. That thing’s ugly as hell. If I wanted an iPhone, I’d buy an iPhone. I’m holding out hope that they’ll get their act together by by next year and release something better that’s sold though all the four major carriers instead of this backwards iPhoney, exclusivity crap. I think if you had the V20 or any other newer device with B66 you would definitely get the extra 5 MHz more than “occasionally” unless you’re traveling between a (un)licensed areas. It sounded to me like at least some base station radios may support it out of the box with a firmware upgrade, though I could be totally wrong about that. fwiw, i stopped at the tmo store on my way to the gym. i wanted to see the iphone7 flat black in person. i have to say, its a beautifully designed piece (full disclosure, i have a g3, now). anyway, the tmo rep said she expects the v20 to be priced less than what att is charging for it. they did not have a demo v20 on-hand. I really want to get this but the second screen isn’t cyanogenmod friendly. The V10 was immediately dropped because it’s challenging to pull off fixing stuff. I like to get the HTC 10. Are the external audios good or bad? I know it’s not that loud but I want to know the quality. It’s the best offering for 2016, since the only viable option is the Axon 7 that has 2 instead of 1 front facing speaker. I have it on good account that for T-Mobile, pre-orders will start on October 17th….. exact price point still unclear, just the typical vague 600-750 answer….. I realize the latter part answers nothing that has not already been speculated about….. Just thought I’d try to contribute about these things as news about these areas on carrier have been exceedingly rare. I hope you’re right but I have my doubts about it being less than $800. I can’t imagine AT&T went that far out on a limb. Stopped by the AT&T store to play with a working demo unit. I want. I don’t want to want but I want. Hoping the price is considerably cheaper than what AT&T is charging but I’m not hopeful. It feels very solid and light. Camera was really nice. (Something important to me in a phone.) Second screen is cool. It’s fast. I was intrigued by a menu item I didn’t see mentioned anywhere. Something about working with the second screen through a smart cover or something like that. It’s so slick. Pre-orders start Monday supposedly. Still not seen any leaks on price. Kind of surprised we haven’t. no lie, waiting to see the price to see if I jump in or not. I spoke to a representative earlier who told me that the price point will be the same as the V10. He also said that there will be no down payment required. He said that they have all the information, and they can discuss it if a customer asks. Info will be available Monday. Lastly, he said that I can call in or order online starting Monday, it’s they can schedule a call to take care of the recall and pre-order. Looking forward to hearing from them Monday morning. Hmmm, I’m highly doubtful that will be the price of the V20 then. Sounds like the rep was talking out of his rear end. i’m in at that price, but not much more. I’m looking on the TMobile site right now, and in the “In the Box” section, headphones are not in there. So the free headphones are like a promo, I guess. I need to know the price. AT&T is charging $830 full price. So, I imagine something similar from T Mobile. Hopefully its $150 cheaper because the headphones don’t come in the box and are supposed to be “free”. And are they only offering the black again? Boring, aren’t there 4 colors? I took a chance on Samsung again, on an overpriced Note 7, I love it though, have had no problems, but am going to have to return it. So, I’m looking for alternatives, and there are only a few: the v20 or an S7. I had a v10 and got comfortable with the usefulness of the 2nd screen, 64GB internal storage,removable battery and sd card, of course, but I’m not really wanting to pay $800+ for an LG phone. I don’t think they’ve earned that price point yet. My last S was an S3. I prefer the Notes over the S series, s7 only has 32GB internal strorage, no S-Pen. But with Samsung giving a $100 credit when you return the Note 7 and get another Samsung, you can get the S7 for under $600. I don’t care about the curved screen, so wouldn’t get the Edge. The headphone offer is from LG and not actually from the carrier. There were 3 colors announced but one of the, pink, was not destined for US shores. I would be surprised if one carrier is able to undercut another by $150. Wear oven gloves while you wait. i don’t want the headphones. most of the reviews say they fall apart after a couple months. i saw an unboxing on youtube. the headphones were not in the retail packaging. who knows if that was accurate, though. This phone might actually be my replacement for the Nexus 6.. I’ll have to check it out when its released into the wild. Just left the store. Pre-orders start tomorrow. Still no price. In addition to the headphone deal, they’re also doing the $200 trade in credit for any working smartphone. Guess my old Nexus One will come in handy. Purchase this phone and get an LG tablet FREE after 24-month finance agreement. Plus, get a FREE pair of Bang and Olufsen H3 headphones from LG. You’ll also get at least a $200 credit for any 4G smartphone you trade in. I’m wondering about the trade-in fine print. Can I buy a working 4g off craigslist and trade it in? I’d like to keep my G3 as a ‘backup’.